What are your Scouting New Year’s resolutions? As the calendar clicks over another year, many of us take time to look back at where we’ve been in the last twelve months and look ahead to the next twelve. It’s also a good time to assess what your troop or pack has accomplished, how it’s benefited the boys in your unit, and what changes you can make or actions you can take to improve things. Your Journey to Excellence evaluation is a good place to start looking for areas that need a bit of improvement. JTE, as we’ve discussed, is a carefully-designed evaluation tool, backed by years of research and data collection, to help units determine where they stand compared with thousands of others across the country. A good way to use JTE is to look both at the past year’s performance and next year’s evaluation criteria, and make plans to meet those goals now. For example, next year’s checklists have a line item for fitness activities, something that’s never been evaluated before. More than just a requirement to be checked off, it’s an important part of our program, and hopefully it will get you to think about whether your troop is fulfilling our mission of promoting being physically strong. Attend Roundtable. 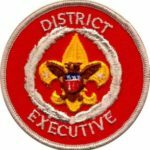 It’s the single most efficient way for you to stay “in the loop” on what’s happening in your district and council, to learn more about your role in Scouting, and how to build a better program for your boys. It’s also a great social event where you can exchange ideas or ask questions of your fellow Scouters. And, it helps you earn your Scouter’s training award (knot). Check with your council office or its website calendar and find out where and when your next district Roundtable will be held, clear the evening, and commit to attend. While Roundtable is for all Scouters, at least one adult from every pack or troop should attend every month. Encourage and reward adult involvement. Every boy in your unit has at least one parent or guardian who is a potential committee member or direct leader. This gives you a tremendous pool of talent to draw from. If you’re having trouble finding adults to fill key positions, start asking! Most people won’t volunteer on their own but will agree to do something specific if you ask them. One sign that you need more adult help is if you have one person serving in multiple roles, such as a den leader who is also handling advancement, or an assistant Scoutmaster who oversees fundraising. In a very small unit, this may be necessary, but if you’re an average-sized troop or pack, there should be plenty of parent help to fill all your positions, so nobody’s doing more than one job. Once your adults are helping your unit go, be sure to thank them – sincerely, in person, and in front of the entire pack or troop. Recognition at Blue & Gold banquets and troop courts of honor is a great way. Support Scouting – You’ve heard the pitch: Registration fees go straight to the national office. Campsite rental fees only cover a part of the cost of operating our camps. Popcorn funds a great deal of council operations, but there’s still a long way to go, and that’s where Friends of Scouting comes in. For those unfamiliar, FOS is a multi-targeted approach to involving families and the community in supporting the Scouting movement. Family Friends of Scouting appeals go out to the families of every Scout. Be sure your unit schedules a FOS presentation during your council’s campaign, and encourage your families to contribute, starting with yourself. The goal is 100% participation, and while not everyone can contribute the suggested amount, every Scouting family who answers the call and turns in a pledge card (regardless of the amount pledged) indicates that they support Scouting. This is of critical importance when your council goes to seek support from corporations and foundations during the Community Friends of Scouting campaign. Most such organizations want to know if our own members support the cause. If your unit’s families turn in their pledge cards (even if they can’t contribute) it’s a showing of involvement and support. Use your council camps. Cub Scout packs can go family camping, and Webelos dens can camp by themselves, and what better place to do so than at your local council’s camp. You’ll be in a Scouting environment with facilities and resources at your disposal that you can’t find anywhere else – archery and BB ranges, waterfront, hiking trails, maybe even a trading post – and you’ll be supporting your council’s outdoor program. Likewise, Boy Scout troops can fill an entire year’s outdoor program at Scout camps in your general area, either your home council’s or that of a neighboring council. Each one is different, so explore and enjoy! 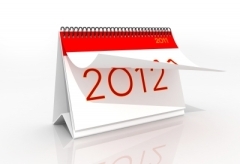 There are many, many more ways that you can resolve to move your unit forward in 2012. Please leave a comment with your Scouting’s New Year’s resolutions. And Happy New Year! Previous PostPrevious Why do Scouts leave?